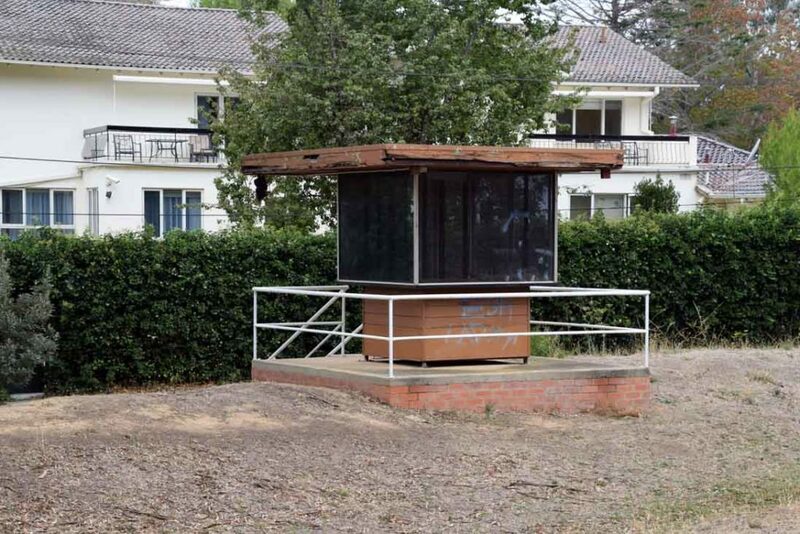 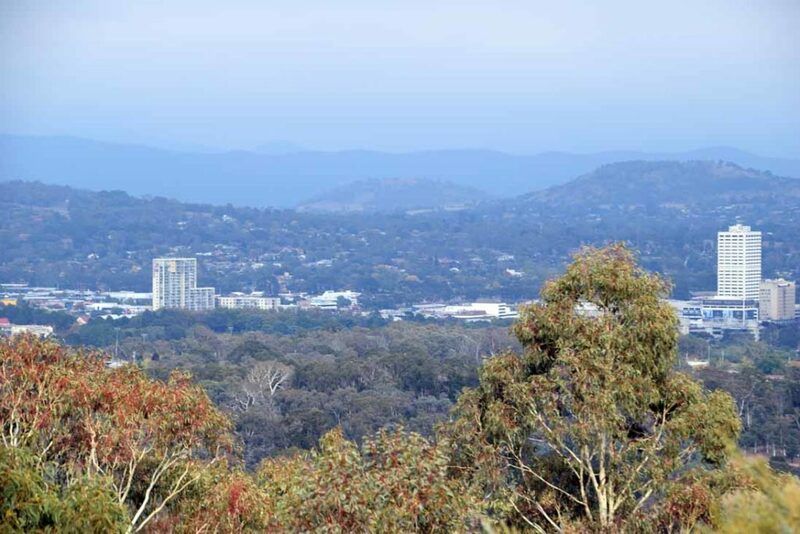 For many years Red Hill was the main lookout for Canberra and the Strangely shape building at the summit known as the Carousel was the prime restaurant in which to have dinner. 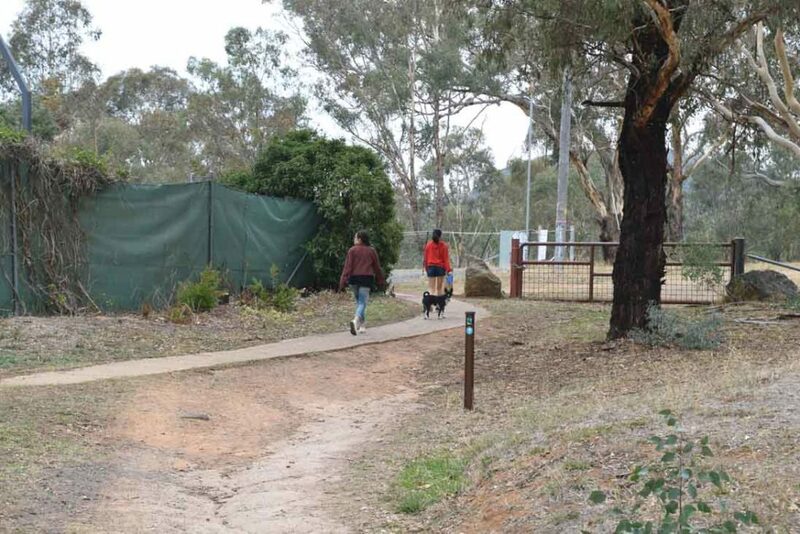 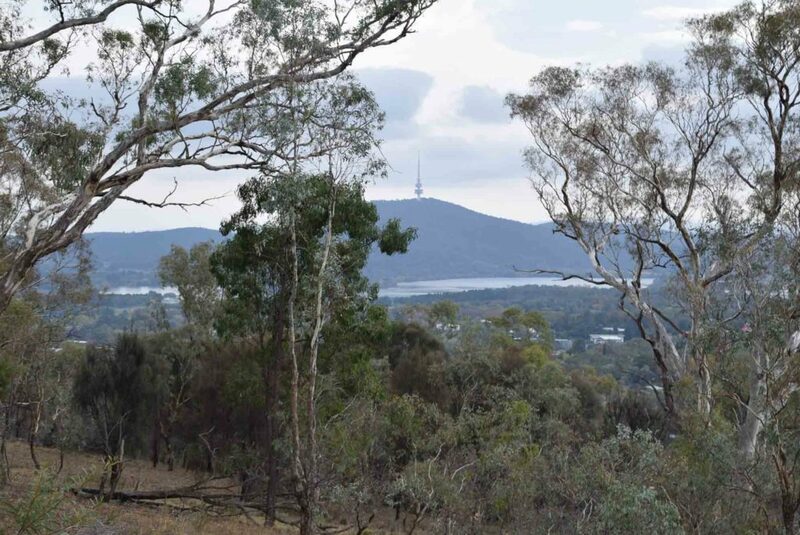 Gone are the days when the Hill had such prominence but this still one of the most used urban bushwalks in Canberra. 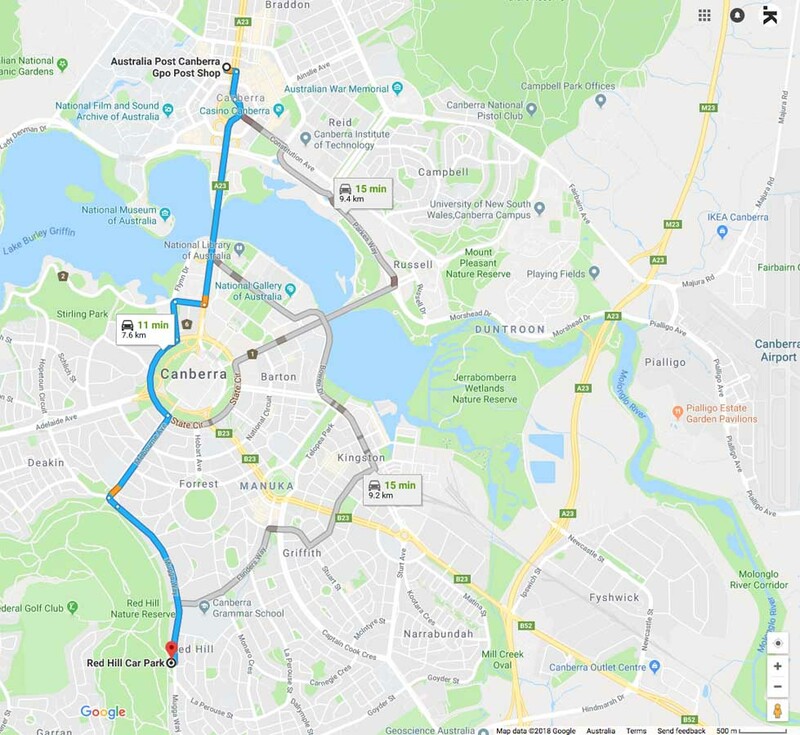 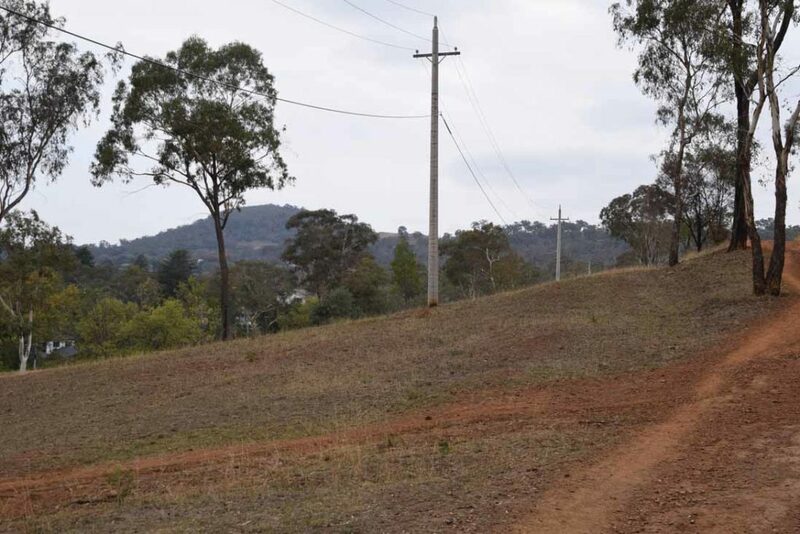 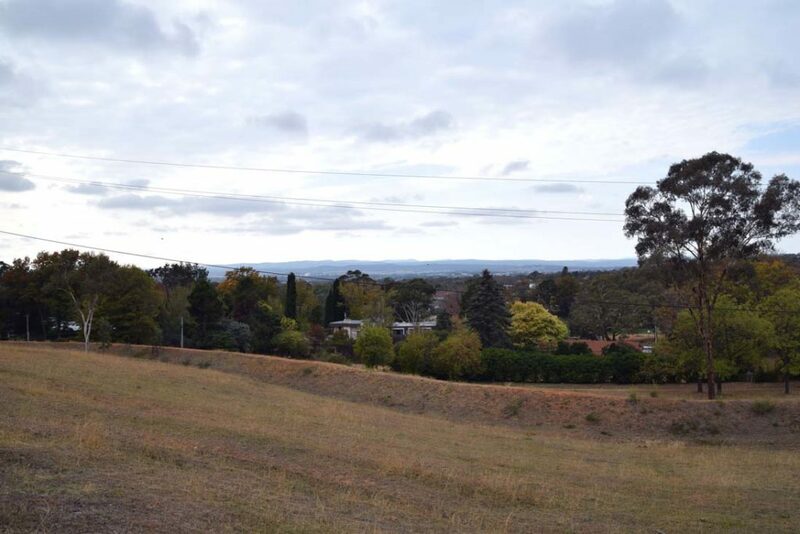 This walk can be commenced from a number of sites around the hill but the main starting point is in the Suburb of Red Hill along Mugga Way. 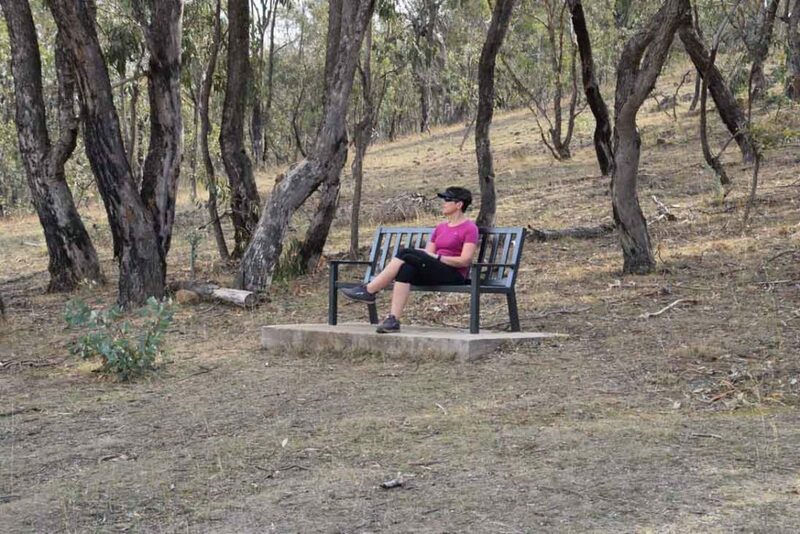 The best way to do this walk is as a loop starting at this main trail head the heading up and along the summit before heading back down onto the same side of the hill and returning to you car along the base. 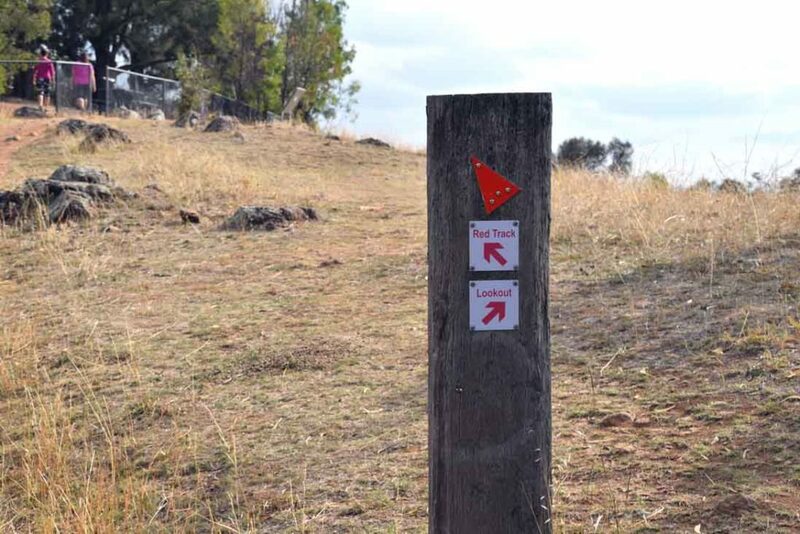 you can do this walk in reverse but you will miss the trail head signage if you do. 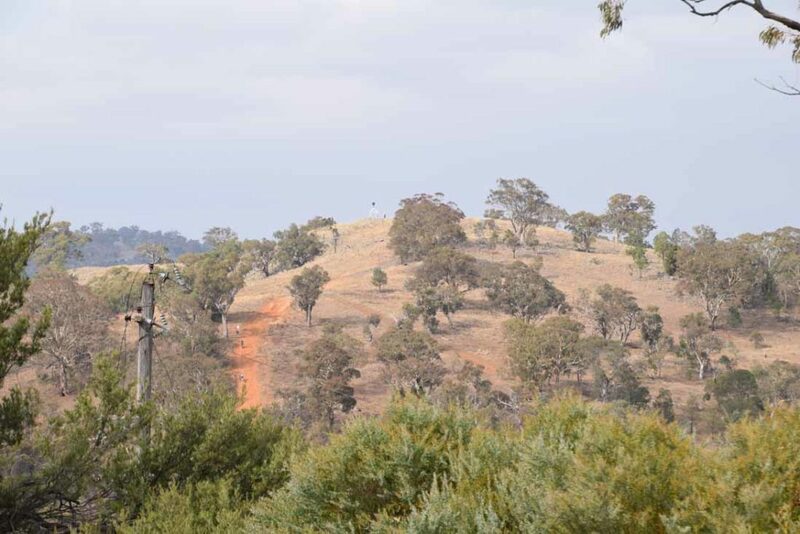 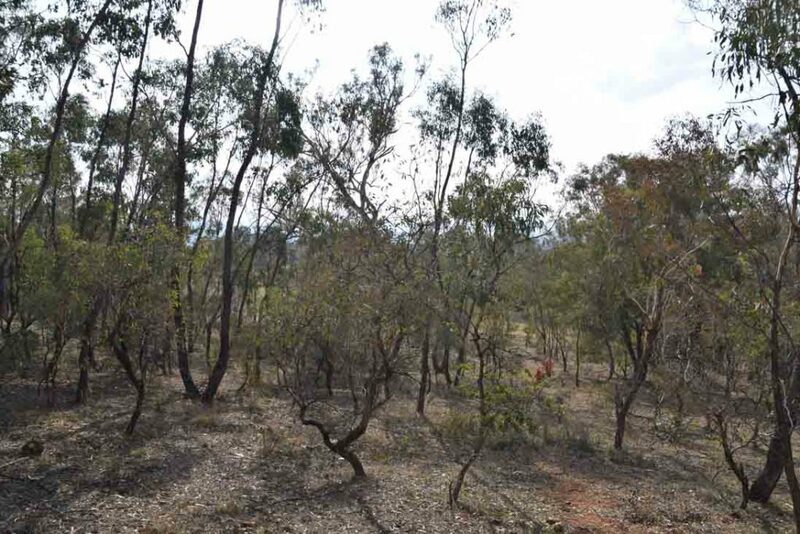 The images below show a fairly dry sort of bushland and even after consistant rain this is one of the driest summits in the city. 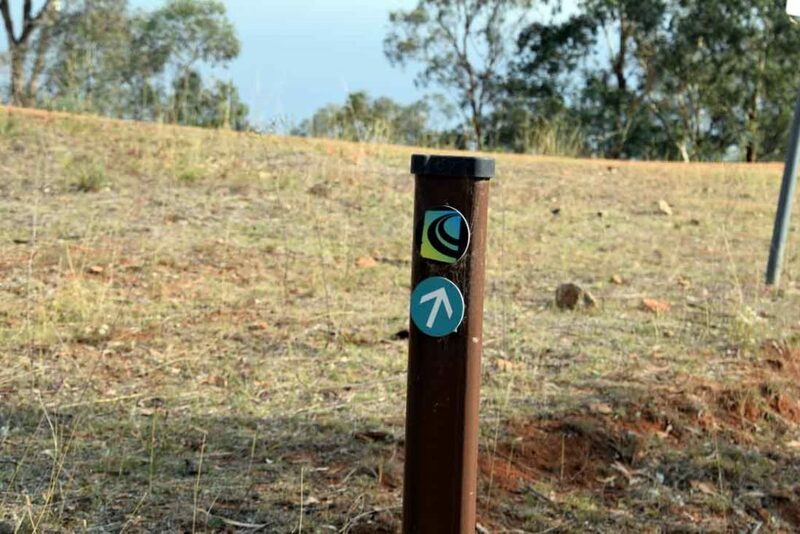 A good proportion of this walk also forms part of the Canberra Centenary Trail and this trails directional signage is relatively easy to follow. 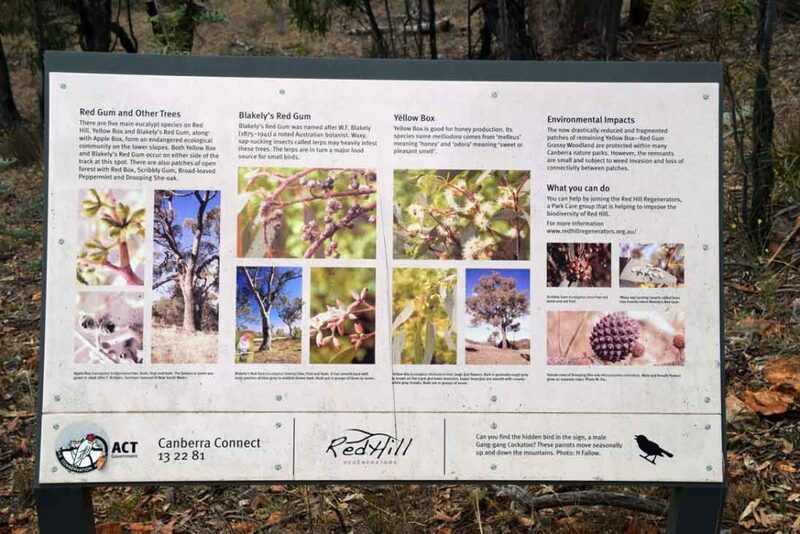 Speaking of signage there is also good interpretive signage spread out along the trail to identify what you are seeing. 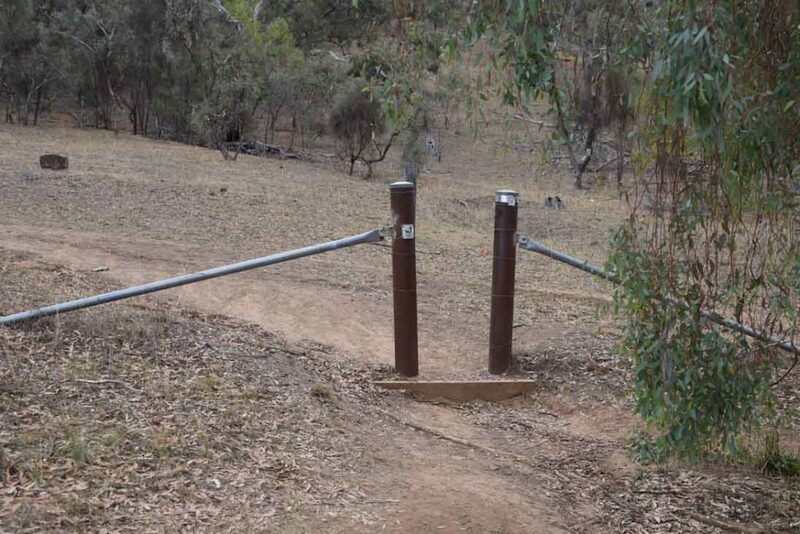 When you reach the first saddle follow the signage to the right. 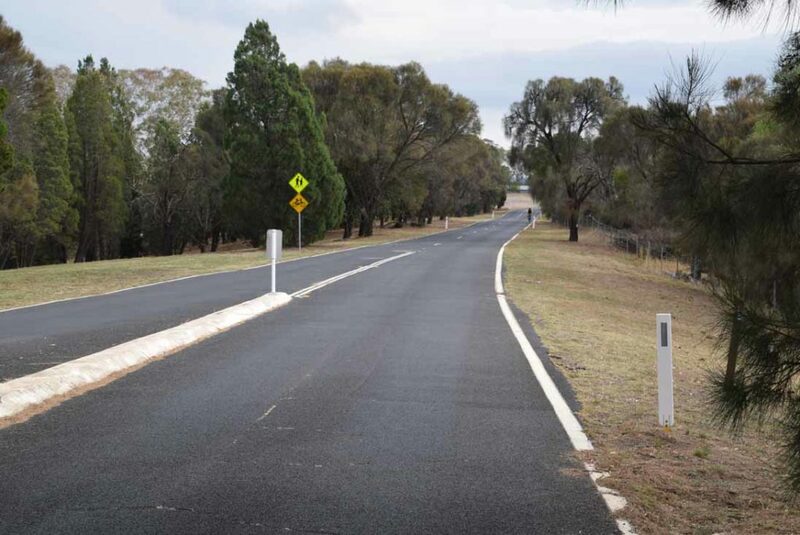 If you turn left at this point you will be heading up the lesser known Davidson Hill. 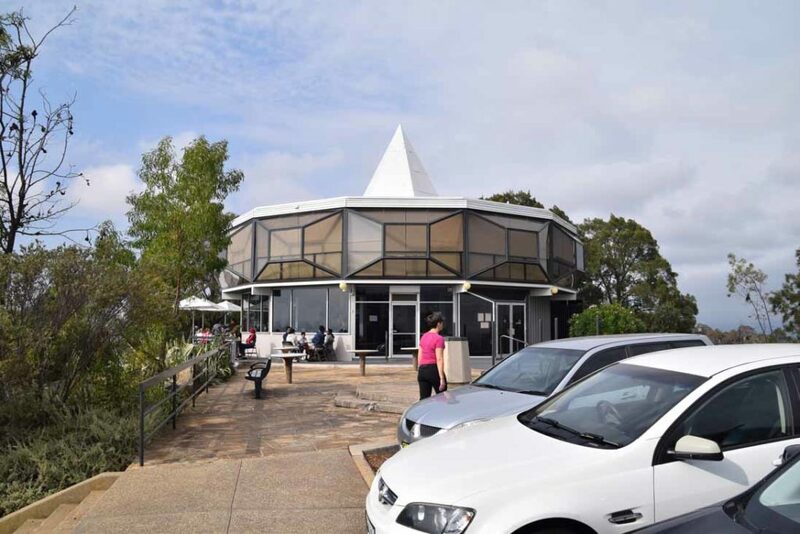 As you approach the summit you will directed towards the left of the Carousel Complex which is the main landmark however the best access is to the right and then you can had a short distance up to the carpark and stop of for a coffee if you are inclined. 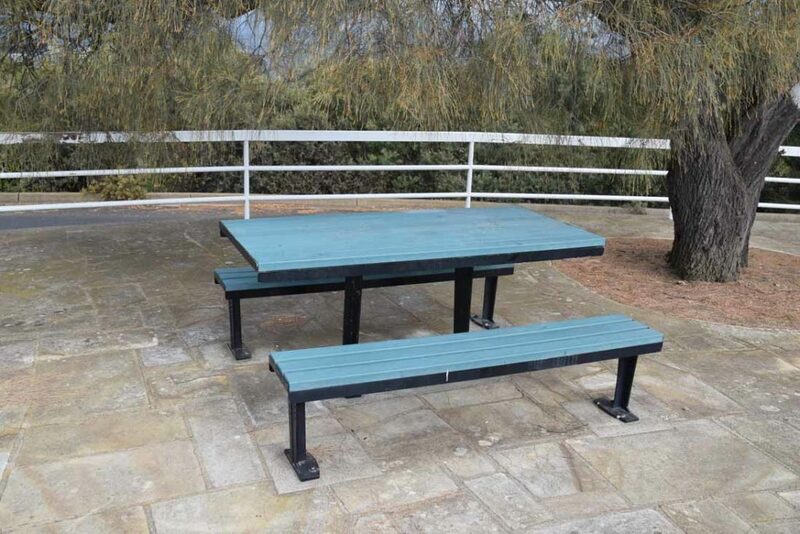 There are also various benches, picnic tables and public toilets located at the summit. 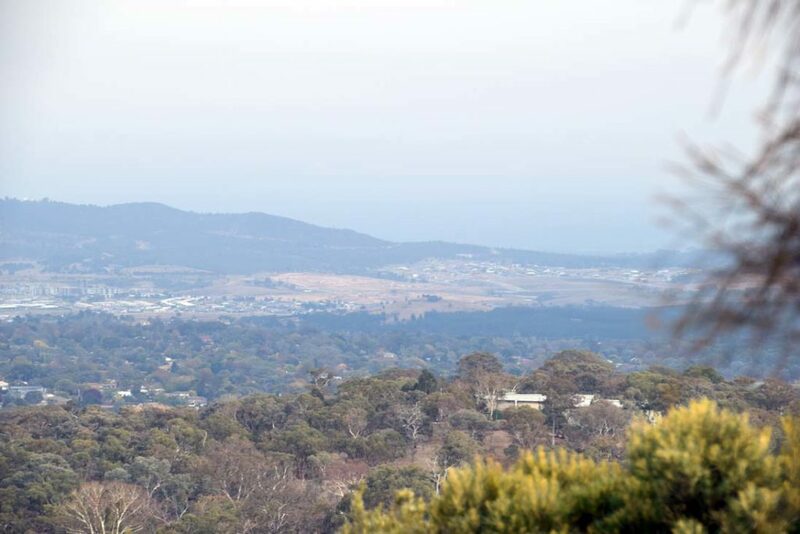 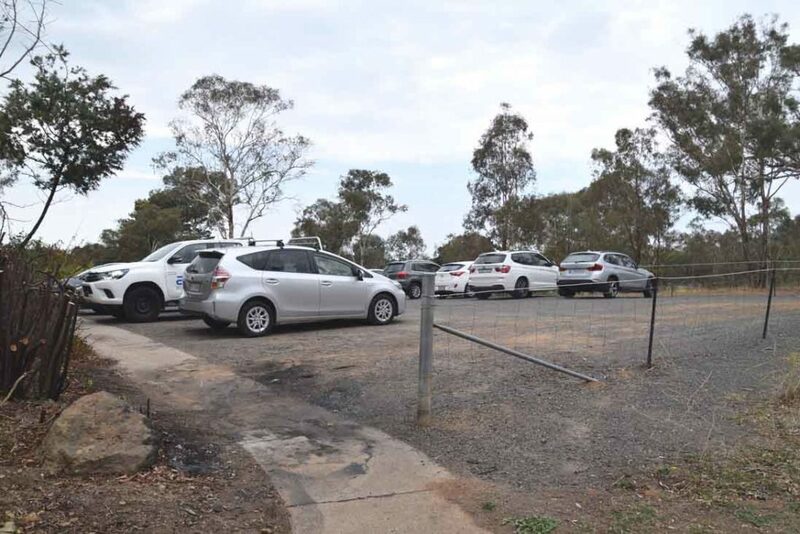 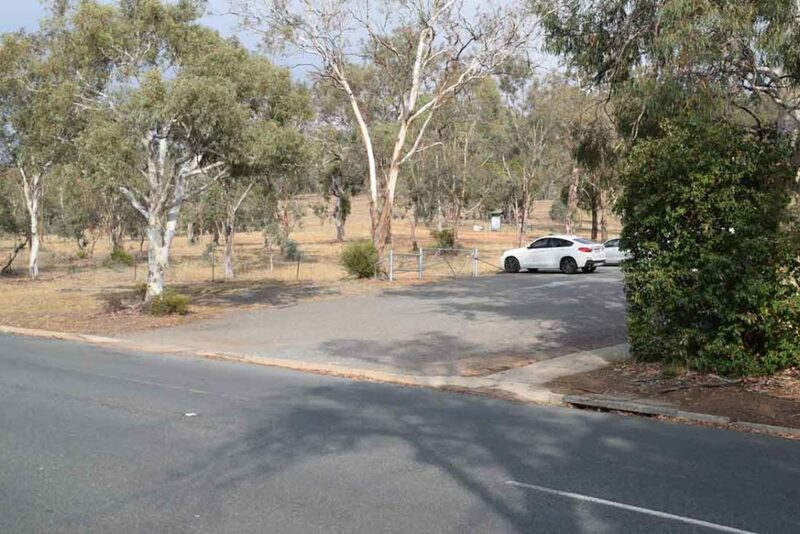 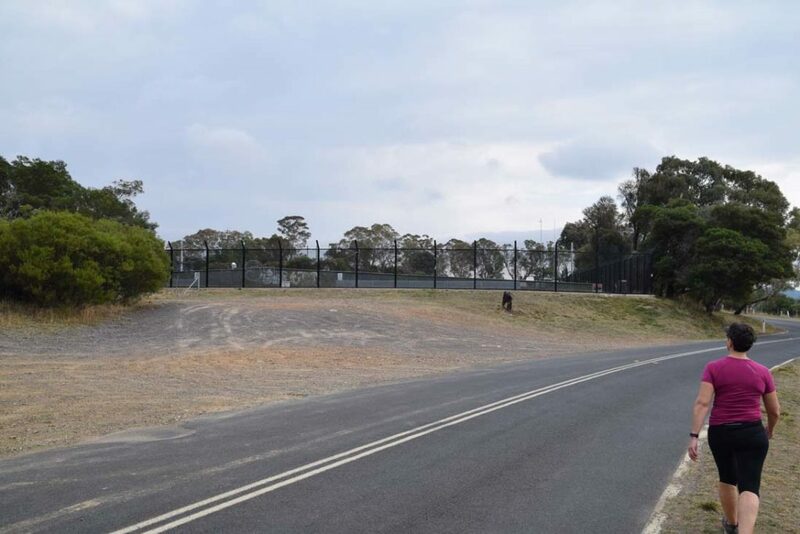 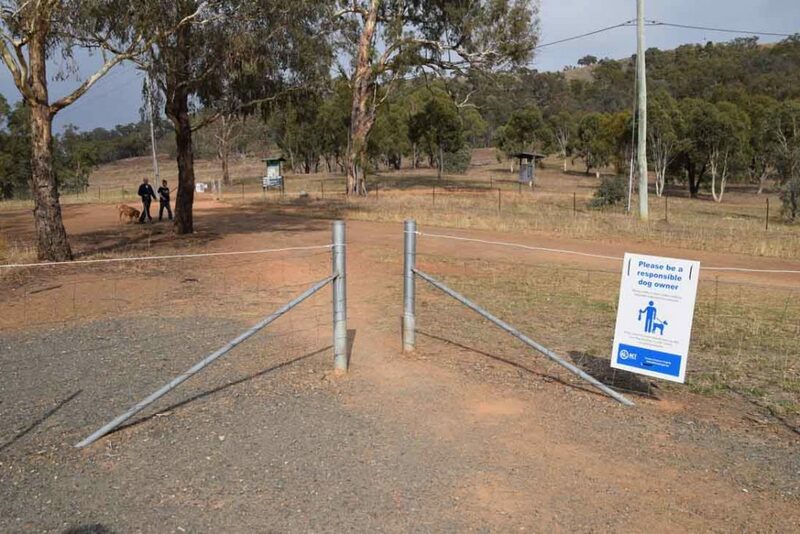 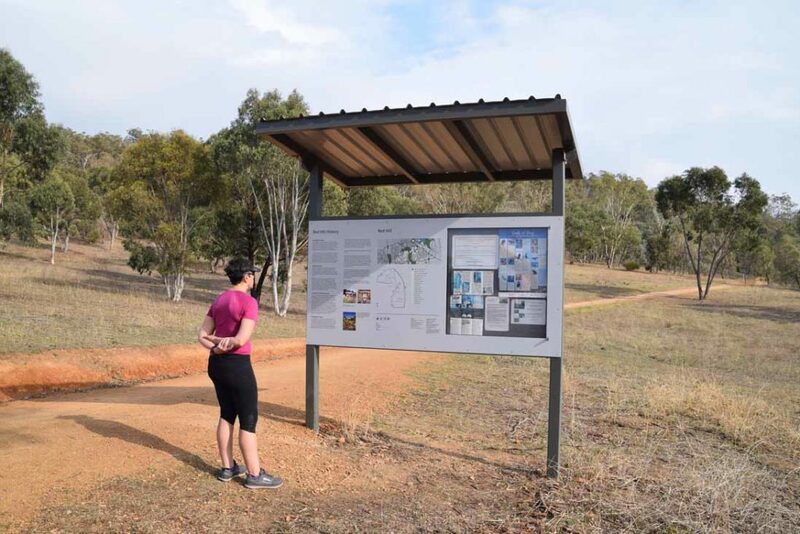 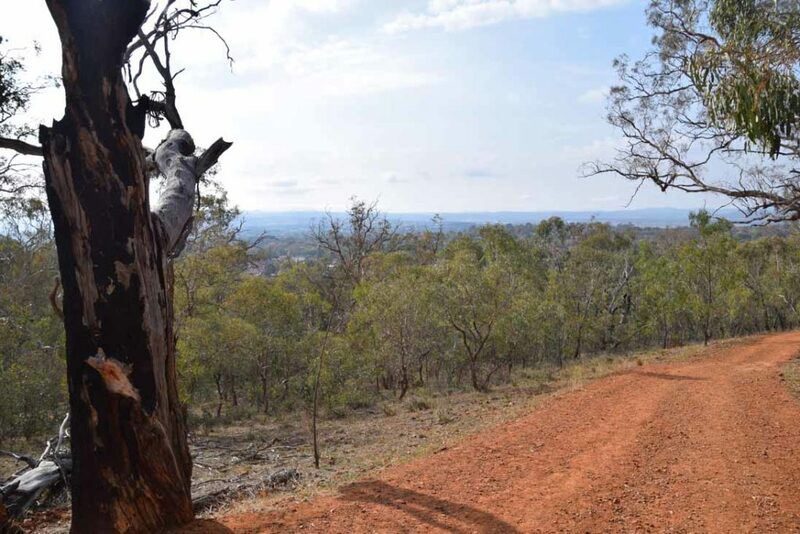 One you had a good look at the views from either side of the hill continue along the road following the Canberra Centenary Trail signage and you will come to a historic reservoir located on the left of the road. 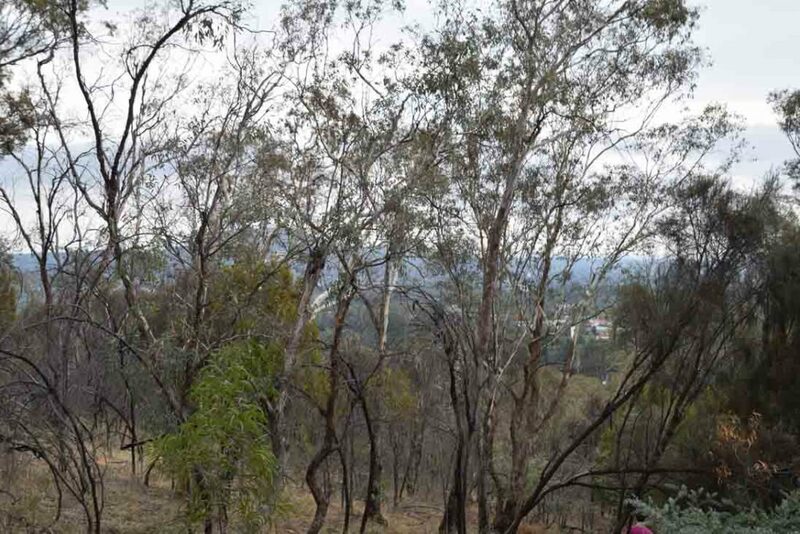 At this point head on to the newer lookout as the road turns for views towards Black Mountain. 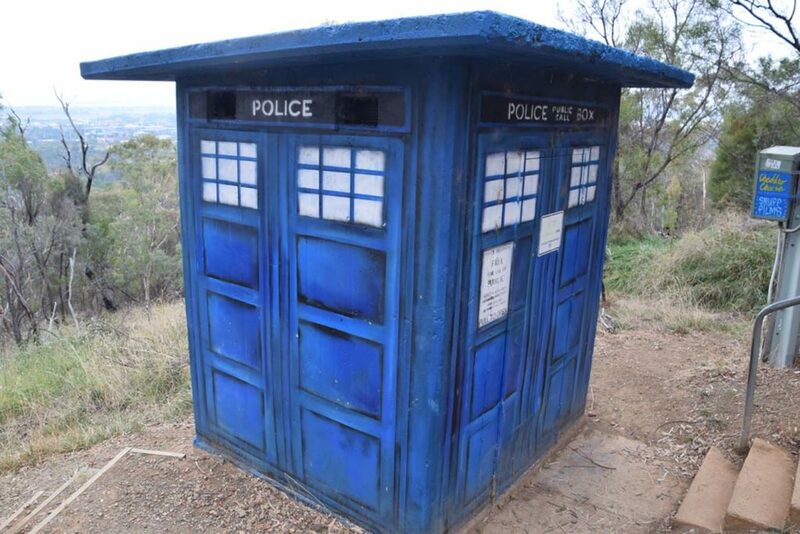 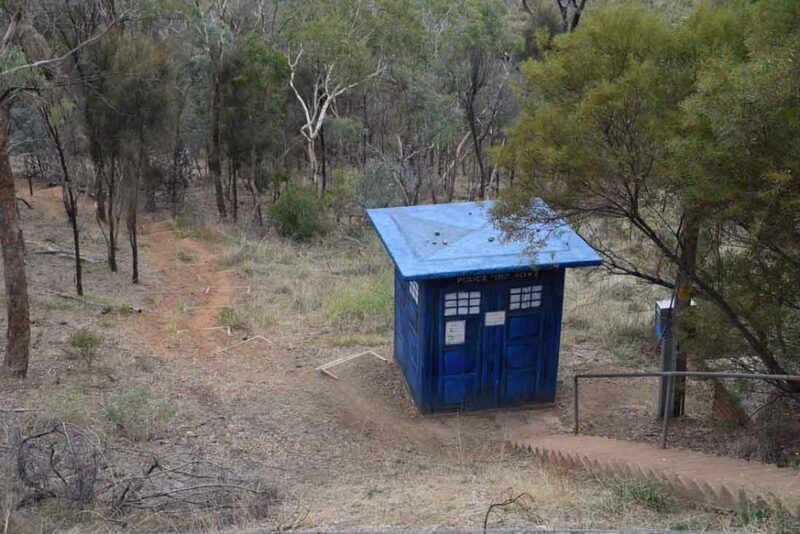 Turn around and head back about 30metres towards the summit and you will see a set of stairs leading down the hill and with it a ‘Dr Who TARDIS’ which is actually a pump house (or is it really?) 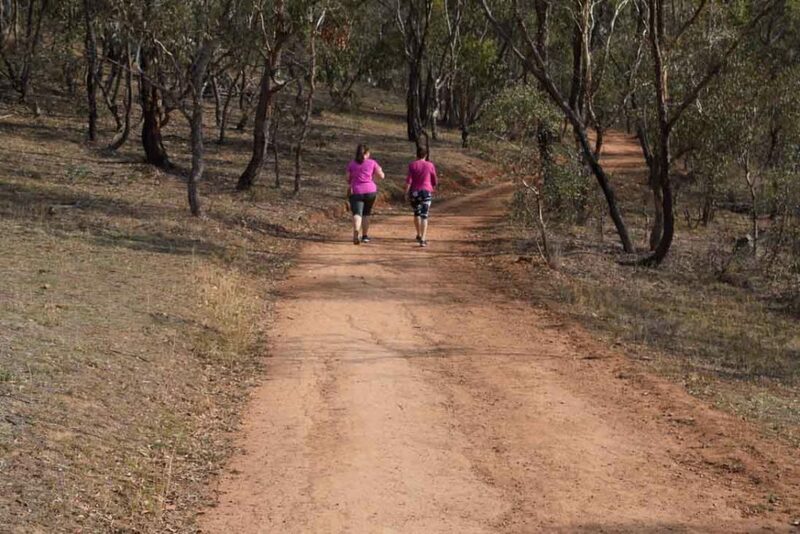 and follow this trail down the hill. 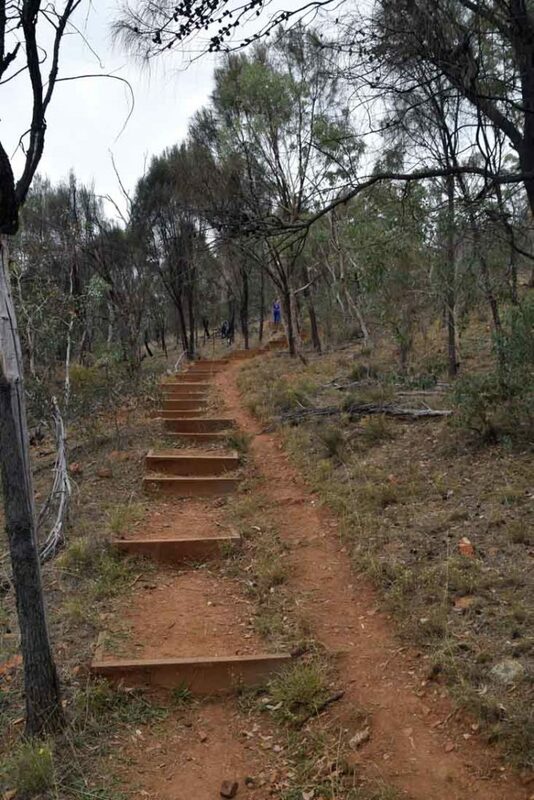 This descent is a bit awkward as the stairs have been badly designed and are not quite right is size or distance so interrupt the flow as you walk. 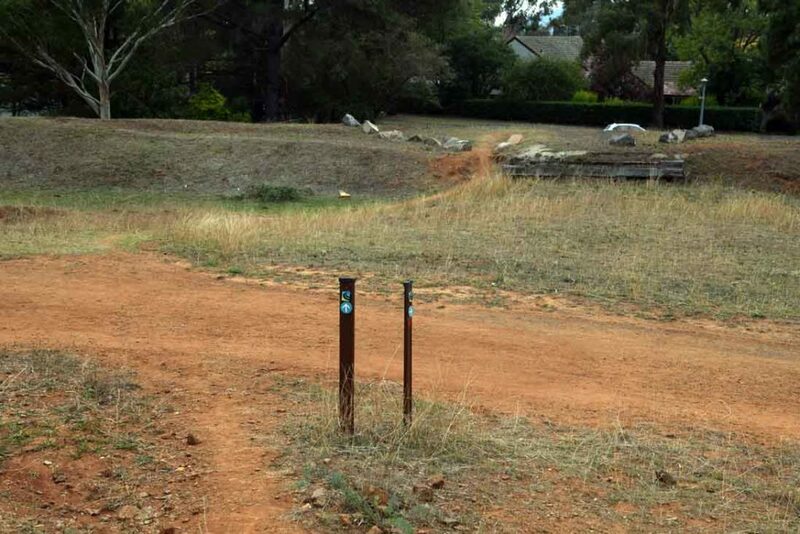 Most people used the walker formed trail to the side of the stairs. 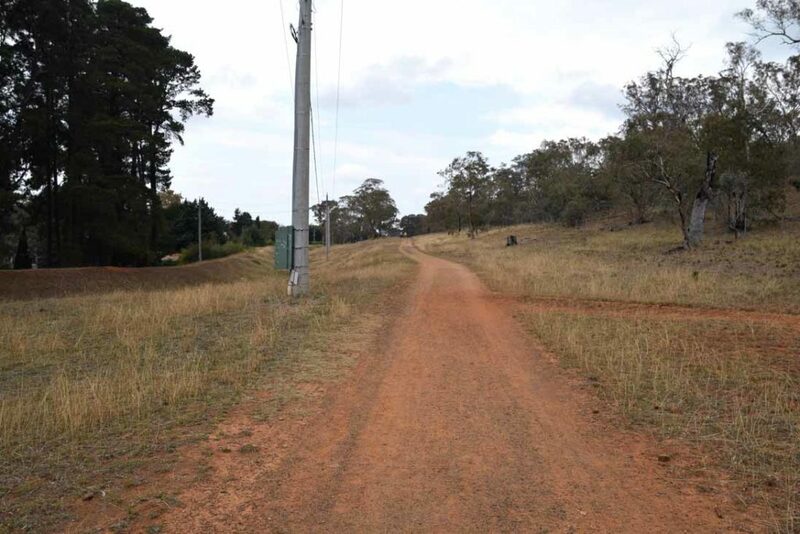 Once you reach the management trail at the bottom of the hill turn right and you will follow this trail back to the carpark along the rear of the houses. 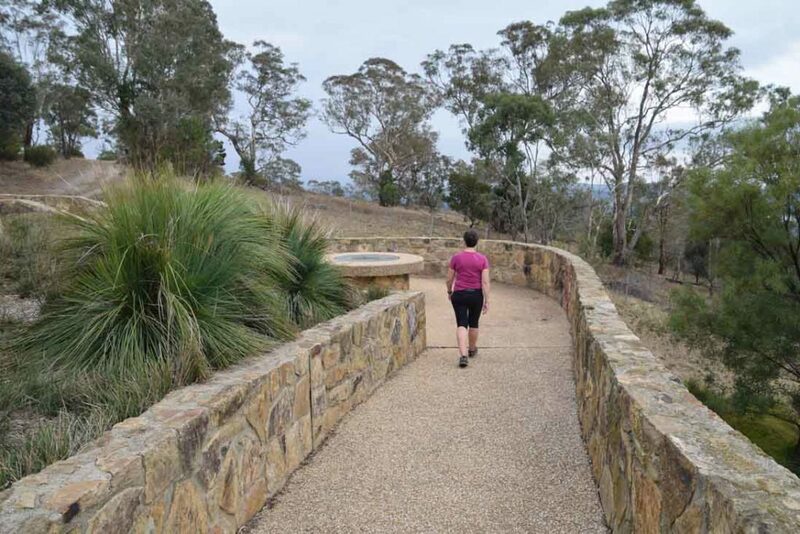 This is a relatively easy trail with lost to see in regards to views and if you don’t have much time for a longer walk (or a longer drive to get there) this is well worth doing at least once.